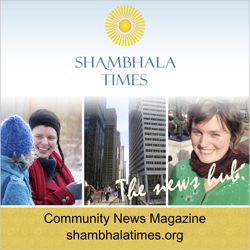 This page contains an updated list of all Boulder Shambhala Center programs and events that are scheduled at this time. To narrow your search, please visit the "View by Category" section on the right side of the page, or click on the different sections in the Programs and Events drop down menu above. We update our Programs and Events many times throughout the year, so check back often for the most current listings.